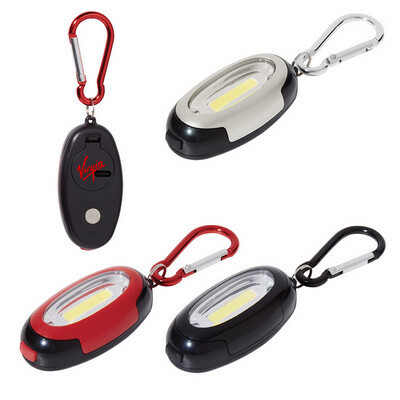 Features: Carabiner with a white COB light torch with three settings - high, low and flashing and a magnet on the back. Price includes : 1 COLOUR 1 POSITION PRINT. Setup is included.